What thicknesses of magnets does JLP carry? What’s the difference? A: We offer a very wide variety of magnet thicknesses to suit everyone’s needs. Whether you are just looking for a cheap solution for a fridge magnet or a heavy duty magnet for shelving, we’ll have it! Usually used for fridge magnets like calendars and business cards. Usually used for fridge magnets like calendars, business cards and signage. Usually used for heavy-duty applications like vehicle signage and wearhouse labels. As you might see with this pattern that the thicker the magnet, the stronger they are. We carry up to 0.080” thickness as well as some permanent magnets (ceramic and neodynium). 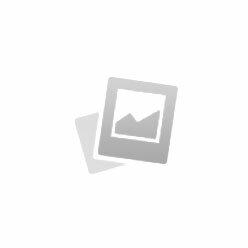 Rubber Magnets are another term of Flexible Magnets that can be just in plain brown magnets, Printable Magnets, Magnets with adhesive or Magnetic Strips. They are basically magnets that are formulated to be flexible so it can be rolled up and easily cut for signage uses. The material comes in many different sizes and thickness suitable for all types of application. They can be used indoor of outdoor, easily removable for timely update of your graphics or messages. Rubber magnets can be your biggest investment for company’s advertisement because it is reusable and updated as needed. Contrary to the bygone era where thicker meant a more intense attraction, flexible magnetic sheets today pack the same punch in thinner packages. Cutting-edge manufacturing technologies employed by JLP Company Inc. and other top manufacturers allow for the production of thinner flexible magnetic sheeting that boasts regular strength. This makes it possible to use flexible magnets in many rewarding and creative ways. Here are some of the mentionable reason that make thinner magnetic sheeting better. Thinner magnetic sheets are great for your marketing campaigns such as vehicle graphics. You can find it in 15, 20-, and the industry standard for vehicle signs, 30 mil thickness – all with regular strength. Being thin allows your signage to produce little to no drag, effectively sticking to the vehicle even at great speeds. You can find thin sheeting in the thickness that best meets your requirement. It is printable and you can actually get high resolution color images with breathtaking clarity and durability. Head strikes are eliminated when using printer that had height limits. Your printers will also last longer due to reduced wear and tear. Thinner sheeting also gives you savings as it costs less in terms of shipping. Thinner sheeting is also available at affordable prices, significantly bringing down the cost of your marketing campaigns or other projects. 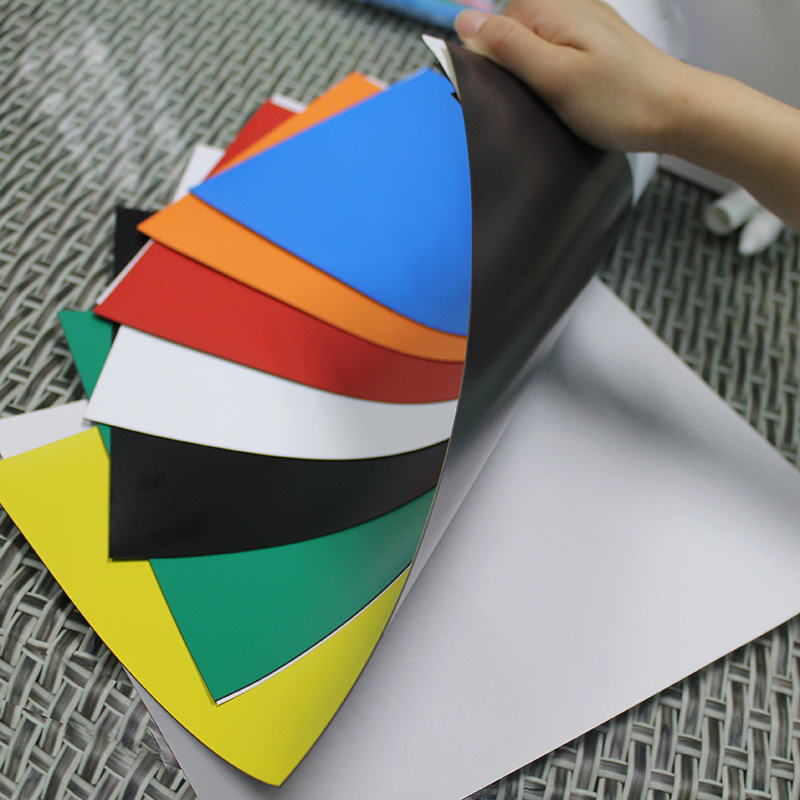 Thin magnetic sheets have countless applications, whether in marketing, in the office, classroom, warehouse, wall coverings, banners, POP displays, and arts and crafts, among others. It is also easy to work with for people whose task is to load magnetic rolls into the printer. If you are looking for flexible magnetic sheets or rolls, JLP Company is the place to go. We provide superior quality magnetic products to cater to a diverse range of needs. Whatever your requirement, our experts are always ready to discuss it and help you identify the best flexible magnets for the purpose. To discuss your requirement or get answers to your questions, contact us today. Just dial 909 803 0388 or mail to sales@jlpco.com. Alternatively, you can Send Us a Message and we will take it from there. Flexible magnets have many applications which extend to educational institutions. While for most people, flexible magnetic rolls and sheets are synonymous with uses such as advertising and warehouse labeling, educational institutions can take advantage of them in many creative ways. In this blog, we look at how early learning centers can take advantage of flexible magnets as an organization tool. There are a lot of applications for flexible magnetic name plates, such as labeling lockers, desks, charts, cubbies, and seating charts. Such applications make it easy to maintain order as well as easily introduce changes to reflect developments on the ground. Flexible magnets are a great help when it comes to managing flexible cooperative student groups. You can be creative with the actual configuration of the design but the basic idea is to post group names on a magnetic whiteboard for any activity. The magnetic name plates make it easy to change the configuration of the groups as well as use the name plates and white board for other activities. You can also use small whiteboards that can be located in the areas where the respective groups are supposed to be stationed. Whenever students are involved in an activity that comprises many stages it helps to write the different stags on a whiteboard and have students attach their magnetic name plates to indicate the progress they are making. This makes the whole exercise fun and instills a sense of accomplishment in the students. Flexible magnetic rolls can also come in handy during the learning process by aiding graphic organization exercises. Prepare magnetic tags with relevant keywords/concepts and requests students to assign them to the correct blank spaces on the board, such as classifying mammals and reptiles. Magnetic tags can also be used in sentence construction exercises. Missing word options can be fashioned out of flexible magnet tags from which students can choose and add to the sentence. You can also employ color codes for your magnetic tags according to the different parts of speech. If you are looking for top quality flexible magnets for sale to design various accessories and tools for educational institutions, JLP Company Inc. has got you covered. 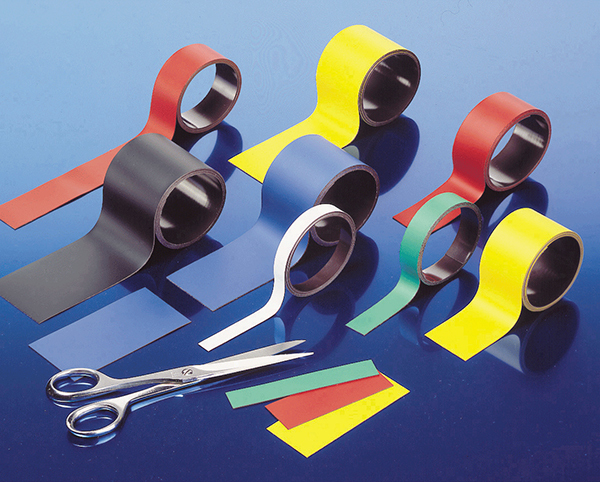 We offer flexible magnetic strips and rolls at competitive pricing to cater to all your requirements. Call us today to get expert help with your requirement at (909) 803 0388 or mail to sales@jlpco.com. A business that lacks advertising cannot compete, grow, or survive. It is a ‘dog-eat-dog’ affair in the business world and it pays to find innovative ways to reach your market. One easy and proven way to do so is to take advantage of signage. Flexible magnets can be used to make easy, cost-effective, and durable signage and displays. Here is a look at some of the advantages that you stand to gain from using flexible magnets to make your advertising signage. Flexible magnetic strips offer unmatched customization options when it comes to designing your signage. You can start by selecting the best flexible magnet for your requirement and design including printable flexible magnets. Using flexible magnets presents a cost effective way to connect with your market when compared to other advertising and marketing channels. Flexible magnets are affordable and they last for a long time when maintained properly. Signage and displays made from flexible magnetic strips are gifted with unique aesthetic appeal that guarantees success of your campaigns. Signage made from flexible magnets is reusable making sure that the cost of your campaigns stays low. They can be taken down and replaced at no cost and stored properly for later use such as in annual or seasonal campaigns. Flexible magnet signs are safe around most products and appliances and can also be used with barcoding, automation, and electronic tracking. You can also use flexible magnets for a lot of other functions around your business as discussed in our earlier blogs. Flexible magnets from JLP Company Inc. are made with high quality materials and according to the best processes. This gives you strong and long lasting magnets that work well in all conditions and can be used for many purposes. Get your flexible magnets today! If you are looking for a cost effective advertising solution to grow your business and conversions, JLP Company Inc. is your trusted partner. We offer premium quality flexible magnets to cater to all your needs at competitive prices. Browse through available options from flexible magnetic strips to flexible magnetic sheets and rolls. Call us today to hear how we can help at 909 803 0388. You can also mail to sales@jlpco.com or Message Us. An efficient and logical flow of people and goods is very critical to the operations of every warehouse. 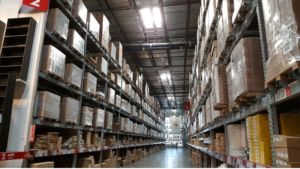 Warehouse signage and location labeling is often overlooked during the planning of a new warehouse although its importance cannot be overemphasized. A little planning, some flexible magnetic signs, and design will get you up and running. To help, here are a few tips to consider. The first thing you need to do is get in touch with a reputable provider of signage design services to establish the nature of services they bring to the table. Some provide a full range of services including signage/labeling design, printing on flexible magnetic strips, and installation. You will benefit a lot from the experience they bring to the table. Before you set out to buy flexible magnets and start the labeling/signage design process, review your warehouse to establish what you need. You will need to have a full picture of the shelves and racking as well as the flow of goods and people, among other things. After considering all these factors as well as the type of lighting to be installed, you can better determine the number, size, type, and location of signs that you need. Prepare your warehouse for the installation of signage/labeling. Make sure you have the right mounting for your signage/labeling and the technology you intend to use. Get rid of dust and dirt on the beams, racks and shelves as it can negatively impact the effectiveness of the labeling/signage adhesive. Make sure all the equipment required for the installation is in place such as barcode printers and power lifters. When you need to get the best signage/labeling for your warehouse, you need to use the best flexible magnets on the market. JLP Company provides premium quality flexible magnet products for all your warehouse labeling needs. Check out our printable magnets and magnetic strips to find the best options for your requirement. To get expert help or answers to your questions, call us at 909 803 0388 or mail to sales@jlpco.com. You can also Message Us and we will get back to you as soon as possible. Flexible magnets are manufactured in strips and sheets, and enjoy many uses. They have many applications around the home and are also used in arts and crafts. One popular and easy DIY project that you can do with magnetic strips is to make magnetic knife holders. They come in handy around the home and nicely made magnetic knife holders can also work wonders as a business idea. Here are some of the cool places that you can place your magnetic knife holders. Perhaps the best place to locate your magnetic knife holder, the area above the kitchen sink is convenient as it is where you wash the dishes. Another advantage is that it puts the knives and forks safely out of the reach of children. If you don’t want the magnetic knife holder to be a prominent fixture in the kitchen, you can tuck it below your fitted cabinets. The location also helps you save space and keep the dangerous items out of the reach of children. Installing your magnetic knife holder in the area behind the stove gives you easy access when cooking and also allows you to take advantage of unused real estate. The location is also tucked safely away from the reach of children but makes the knife holder a prominent fixture. Flexible magnets also allow you to fashion a simple magnetic knife holder, even if you are not great with the crafts. If your knife holder is not aesthetically pleasing but simply designed to serve a functional purpose, you can locate it on the inside of any of your cabinet doors. If your magnetic knife holder looks great and you don’t mind making it a prominent fixture, install it on a wall as part of a larger grouping that comprises other wall-mounted items and appliances. Accessorize your home with flexible magnets! Flexible magnets can be used in a whole lot of other instances around the home. Search the internet for tips on other cool DIY projects and uses of magnetic strips and accessorize your home. JLPCO provides the best quality flexible magnets for all applications, including car signage, warehouse labelling, exhibitions and stands, POS, and in schools. They are a low cost solution that offers high corrosion resistance. Call us for more information on our range of flexible magnets at (909) 803 0388 or mail to sales@jlpco.com. You can also Message Us today.